The 360 camera mania was continued with new approaches and new innovations in technology. There are several new innovative 360 cameras are launched this month and strikes the box with the rise in competition across the web. 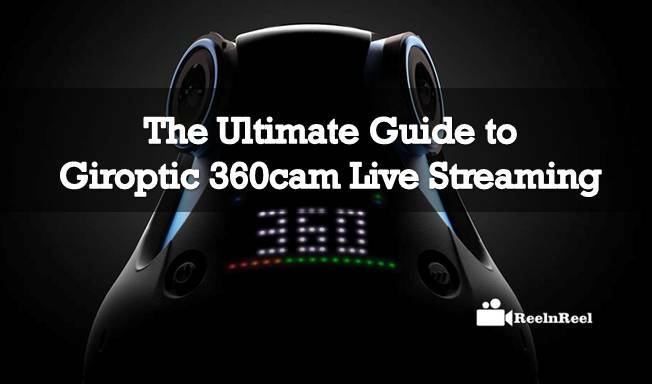 The features of Giroptic 360cam Live Streaming are listed here. The tech savvy’s and video makers are very curious about the latest updates and their reviews. Giroptic 360cam Live Streaming is the new 360 cam which came as the size of a tennis ball. It is world’s first 360-degree camera which stitches the photos together using the multiple lenses. The new Giroptic 360cam Live Streaming camera is completely a high definition camera which cuts with its spherical angle those records the best moments in 360-degree videos. The camera is the first one which had the ability to record the spherical videos and photos without using any software or other processing. Therefore the camera is the unique one which is in egg shape design that enhances its features. The Giroptic 360cam Live Streaming camera has three different wide angles along with the three microphones which produce the video footage at 2K resolution up to 30 grams per seconds and the images can be shooting with a 4K resolution. The 360cam gyroscope delivers the best superior image of 360 degrees with perfect stabilization. The real time stitching can eliminate the need for post-production and other software. The images and files can be recorded as standard files like MP4/h264 for the videos and the jpg for the images. The 360cam studio application supports the live streaming across the Facebook platform and the app accompanies the fastest and easiest way to share the 360 degrees content across the Facebook platform. Giroptic 360cam camera has support from the Youtube platform to stream the live 360 degree videos across the youtube platform. It is the best user-friendly camera which supports the 360-degree spherical videos. Giroptic is unique in its design and has a removable battery with its own SD card. It also had two attachments that users can plug into the cam. One for Ethernet port and the other for screw the camera in the socket. The Ethernet port supports the live streaming content from the camera the other port can be used as a security camera too. The app supports well and performance all process that is necessary for the stitching which combines the three separate videos. The users can transfer the stitched videos to the desktop across the android and IOD platforms. • It has great pictures quality and the pictures mode allows the users to capture the images at 360 degrees. • The design makes the camera compatible and portable. • It has good storage space which supports the SD card up to 128GB. • The camera is compatible with other devices as it consists of universal mounts along with a micro USB port. • The camera can record up to one hour completely nonstop. • It is shock and water resistant. Therefore the Giroptic cam camera is the best and comfortable for 360-degree images and video shooting.